Apparently, Bank of America is very happy with the interest income they are making from me with my business credit card. 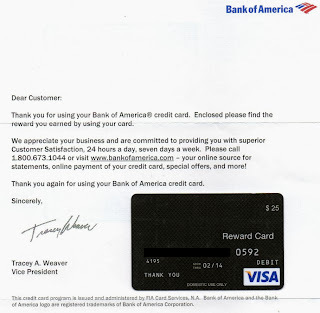 They sent me a generic, $25 debit card (Reward Card.) Domestic use only! How did I use it? Some sushi for my daughter and yours truly. It was nice.